1. Team Captains are able to identify both verbal and physical violence as violence. 2. Team Captains feel more comfortable utilizing I messaging and active listening to transform conflicts. 3. Team Captains are able to identify when a conflict has escalated to a level that might result in violence and understand the importance of leaving the conflict. 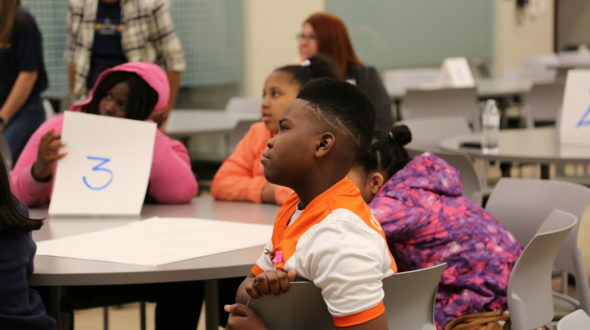 Our four learning activities included a conversation about resolving conflicts, conflict self-survey, One Love curriculum, and a panel with Allstate leadership. 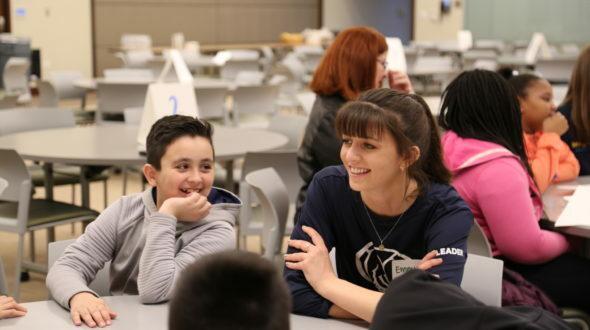 Resolving conflicts: Captains were able to share their conflicts, school or personal, with other team captains, UI staff and Allstate volunteers. A safe space was provided to work through these conflicts. Conflict self-survey: Captains worked through a self-survey to determine their method of managing conflict. Styles ranged from accommodating and collaborating to avoiding and competing. One Love: One Love’s mission is to end relationship abuse by educating young people about healthy and unhealthy relationship behaviors and empowering them to be leaders driving change in their communities. Allstate panel: Captains were able to engage with Allstate volunteers in an intimate discussion revolving around conflict transformation. As always, we were sure to leave room for fun and games. 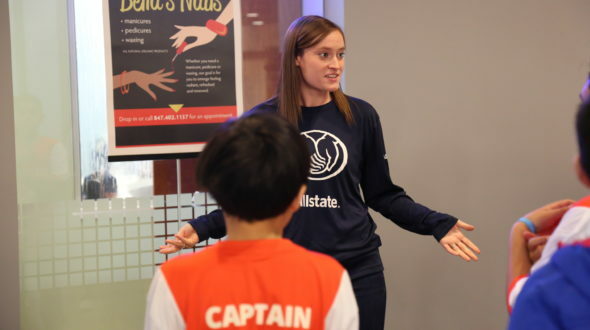 Captains split their time between a tour around Allstate headquarters and human foosball. The retreat ended with a delicious pizza lunch. The highlight of this retreat was surely the rollout of our new trading card initiative. Goudy and Greene, our highest performing schools (measured by GPA, attendance and behavioral scores) were invited to a private luncheon with entrepreneur, DeJuan Lever. Captains were able to ask questions and hear about DeJuan’s successes and challenges when transforming conflicts. After the luncheon, students received an autographed trading card of DeJuan. We feel as if our learning objectives were met and team captains were able to take what they learned at Allstate back to their communities. Overall, this retreat was a huge success and would not have been possible without the incredible support of Allstate. The impact that this retreat had on our captains is immeasurable.